That’s right, new music from disappear fear. This CD may very well be the best of SONiA Rutstein’s career. SONiA is best known to audiences around the world as one of the creators of the indie folk group disappear fear. While that group has gone through several iterations over the years, SONiA has continued to tour the globe, writing and performing songs that speak to important issues of the heart and of society. 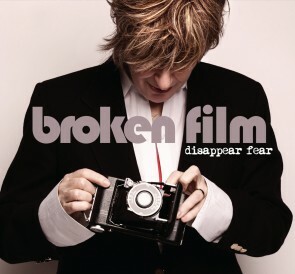 “Broken Film” released on September 17, 2013 in Baltimore, launching a 50 city North American tour. On the road with SONiA is Don Conoscenti. He plays lead guitar as heard on the “Broken Film” CD. Moving across the Atlantic to play the drums is Katie Marie from London, UK and from Austin, Texas Laran Snyder on vocal harmonies. Posted October 18th, 2013 & filed under Entertainment.